About one month from now, hundreds of women will be gathering in Bishop, California for the second annual Women's Climbing Festival, hosted by Flash Foxy. This event is designed to inspire other women, foster community and friendship, and create an environment where daily life can take a backseat to climbing psych. The Cliffs once again offered the Lady+ Crusher Scholarship for one woman's ticket + travel to the festival, and we're so proud that the winning application was from Kristina, a member of our staff! Members of Flash Foxy and The Cliffs team unanimously and anonymously selected Kristina's app, so we sat down with her to give you an idea of what made her app the winning pick. Kristina was born and raised in the Northern California wine country. She now works as an AmeriCorps Fellow at the New York Immigration Coalition, where she writes grants and manages donations to fund education, health, and legal initiatives for immigrant and refugee communities throughout the state. On the weekends, you'll find her putting harnesses on children and keeping the peace in the Fox Room as one of our General Staff. 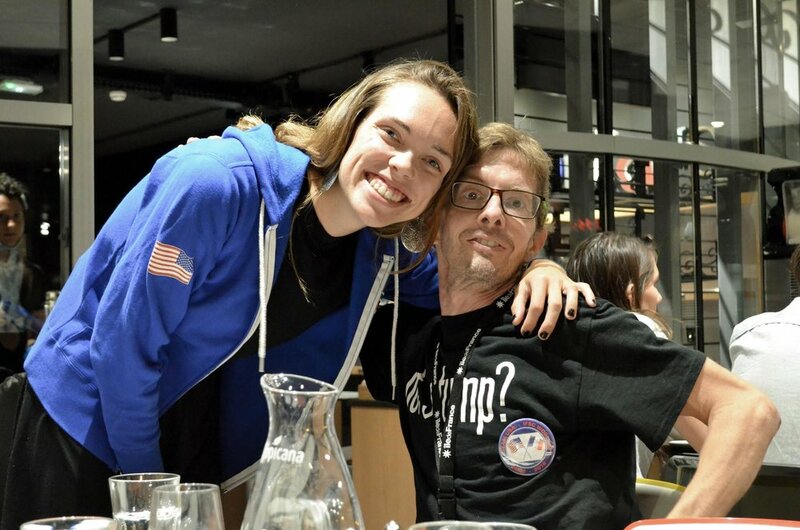 In her not-so spare time, Kristina volunteers with Adaptive Climbing Group, planning climbing events for kids with disabilities. How has climbing with women impacted your experience as a climber? I learned how to climb from my older brother, his climbing bros, and our local boy scout troop, who are some of my favorite humans but not that cuddly or verbose. So when I started climbing with women (especially the rad ladies of The Cliffs) I was like “Y’ALL ARE SO NICE AND SUPPORTIVE ALWAYS? !” Climbing with ladies has definitely boosted my outlook and energy for climbing as a whole (no offense, dudes back home). 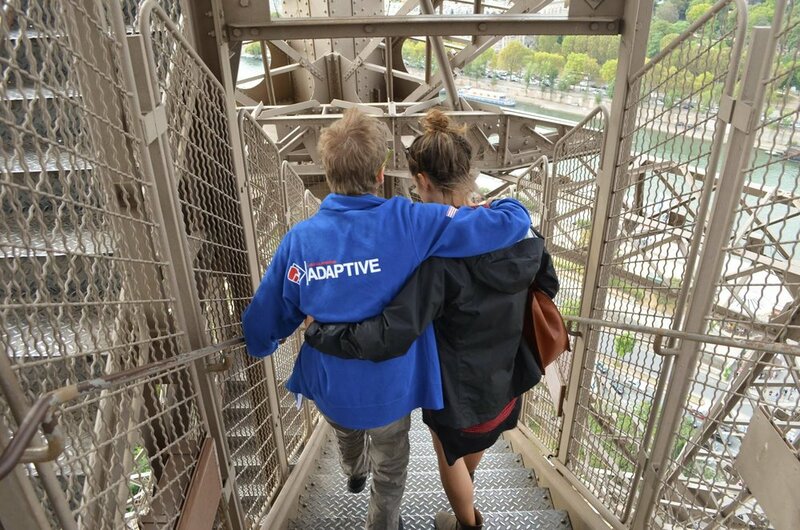 What's your favorite memory with Adaptive Climbing Group? I got to go the IFSC World Cup in Paris this past September, and then hang out in Fontainebleau for a few days afterward. It was amazing being able to hang out in the giant arena for a week and watch the different processes that professional climbers go through leading up to a giant competition like that. The cherry on the sundae: I got to top it off with a four-day retreat to Font with paraclimbers from around the world. Meeting rad humans who do rad things, CALIFORNIA ROCKS ARE THE BEST ROCKS AND I’M SO EXCITED, and that sweet sweet sweet Sierra Nevada air. Any advice for girls/women just getting into the sport? If you stop freaking out about the grade and what/who is around you you’ll climb harder. Break down those mental barriers, yo! Your brain is your strongest muscle. Being organized AF. Also, dog whispering. Stupidest thing that makes you smile? When pets have human names. Especially dogs. My neighbor had a dog named Dave when I was growing up and it still cracks me up to this day. In three words, describe your climbing life.